My "kumare" and grade school friend called me up one day and asked: "Mars! 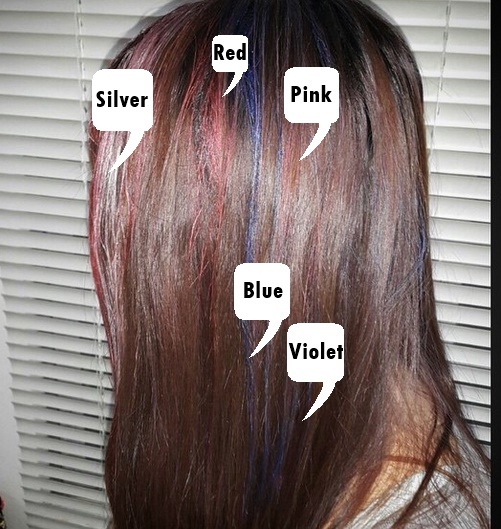 Where can I buy hair color products for my daughter?" Suddenly, AskMeWhats turned quiet...I actually do not know the answer! I mean I knew quite a lot but I'm unsure if they are safe for the kiddo! Just when I was just about the research for my friend, a good friend Therese, who works at an agency asked me if I wanted to try Color HairSpray from Wish. As crazy as the idea was for a 36 years old mom...I said yes! And it's not because someone asked about these, it is because I am totally intrigued by them too! And showed this photo on AskMeWhats Instagram. If you can't seem to see the color here's a better view with shade names! I skipped brown because my hair is brown to start with. All the shades are pigmented enough! You get the right color on first spray. The spray could "harden" your hair a bit! Not too much but the texture is like that of a soft-hold hairspray. The color stays the whole day, until hairwash! The color doesn't transfer once set. It takes a bit of practice to get the "hang" of it! 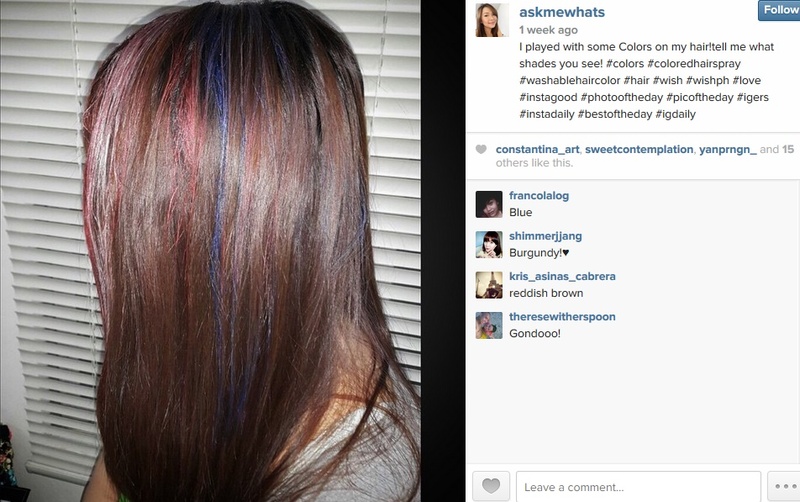 How will you use colored hairspray? Which color would you try? is there a neon green ?